Is Ralph Lauren only about this instantaneously recognizable polo player logo or this fun, sweet (and elegant) Polo Bear? Far from that, Ralph Lauren watches was created in 2008 in partnership with Richemont, two leading brands in the global luxury market. Ralph Lauren might have a greater awareness and credibility in the fashion and automotive segments rather than as a watch brand, but this is deemed to change sooner or later. Over the past decade, Ralph Lauren watches have gone a long way to create their own, strong identity and propose high quality timepieces with Swiss movements provided by prestigious brands from the Richemont group. 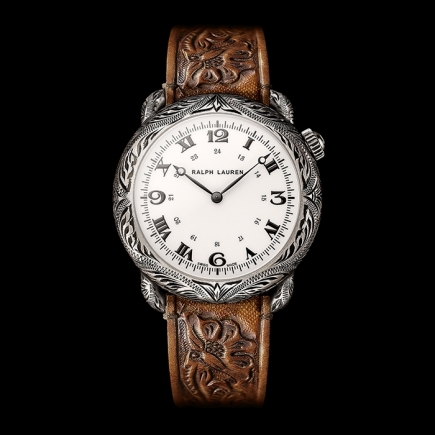 This unique Ralph Lauren identity is found across all watch collections developed by the brand, be it the very recognizable Ralph Lauren Stirrup (dedicated to women), the round Ralph Lauren 888, the art-deco-style Ralph Lauren 867, the Ralph Lauren Automotive line, the Ralph Lauren Safari, or, of course, the latest Ralph Lauren American Western collection. The Ralph Lauren Automotive collection has rapidly become the iconic watch by the Ralph Lauren brand. The most unique aspect of the watch is definitely its wooden bezel, reminiscent of the unique cars collected by Mr Ralph Lauren himself, the most famous of which is his 1938 Bugatti Type 57SC Atlantic Coupe. The wood of the bezel is protected by several layers of varnish and has a 15-year guarantee against breakage. But beyond this outstanding bezel, the Ralph Lauren Automotive is also a timepiece that stands out through its black gunmetal steel case, its black alligator leather strap and or course its Swiss movement made by one of the Richemont brands (Jaeger-LeCoultre or IWC). The price of this timepiece is in line with the quality of the product and wearing a Ralph Lauren Automotive watch is a strong statement, just as it is to wear the legendary Ralph Lauren polo shirt or even the famous Polo Bear. Let’s not forget to mention a watch that borrows a same case design as the Ralph Lauren Automotive collection and that positions itself as a relatively affordable sports-elegant line. 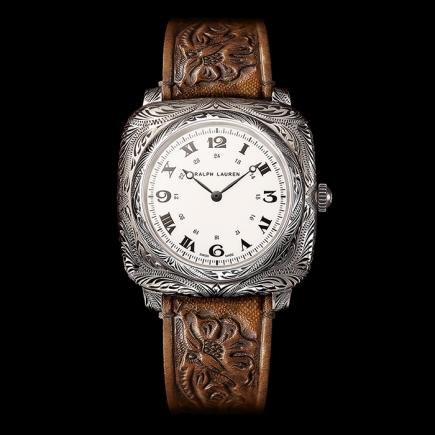 With a price positioning of about $ 5000, the RL67 Ralph Lauren Safari timepieces were introduced in 2013 and also feature pre-aged steel cases with gunmetal finishes. 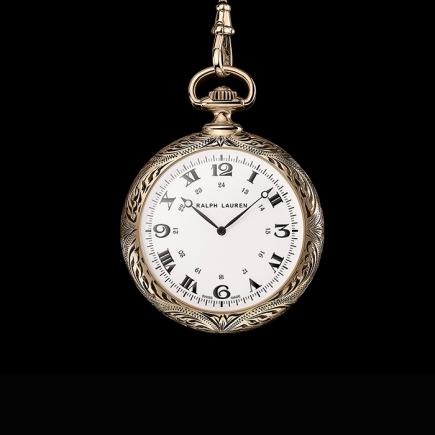 The dials of the Ralph Lauren Safari watches are very readable and reminiscent of the automobile universe. The Safari watches are available in different sizes ranging from a 39 mm case to an impressive 50 mm case for the typical confident men. The more recent 50 mm case variation of the Ralph Lauren Safari features a Grand Date indication right below the 12 o’clock marker. There are two options available for this elegant watch with a Swiss movement: a black dial version mounted on a canvas strap and a camouflage version mounted on a black alligator leather strap. Beyond cars, Mr Ralph Lauren is also passionate about horses and the Stirrup collection is the expression of this passion. 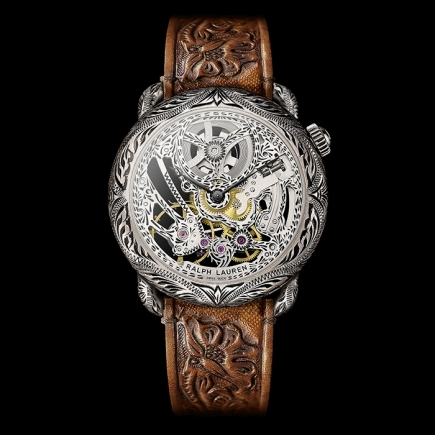 The case shape of the Stirrup timepieces is very unique as it does actually mirror the contour of a real stirrup. 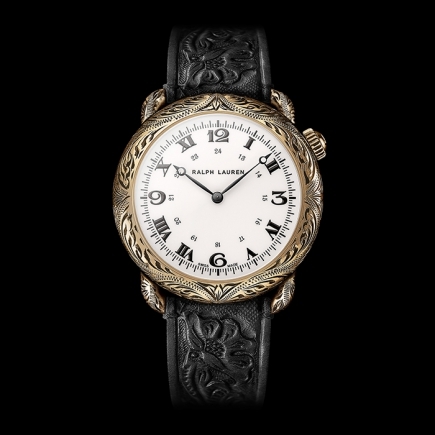 If the Ralph Lauren Stirrup watch was essentially designed for women and proposed in a stainless steel case version, the brand decided to also produce some more exclusive versions with an 18K gold case for both men and women. To celebrate the 10th anniversary of the Ralph Lauren Stirrup collection, a new collection of watches with a “mini”-sized case was created and a wide variety of leather straps proposed. The purple alligator leather strap mounted on the 18K rose gold case is particularly stunning. 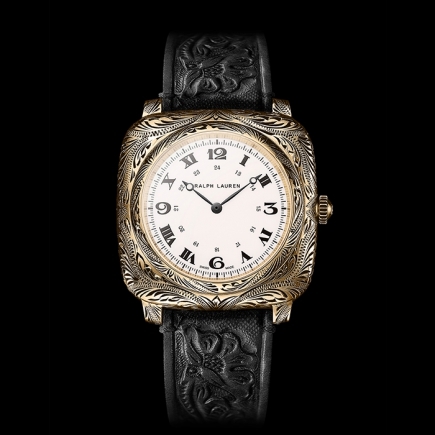 The Swiss movement on this watch is an automatic movement produced by Jaeger-LeCoultre, one of the most prestigious brands of the Richemont group. 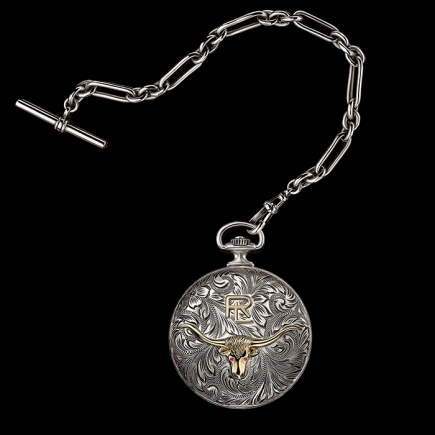 This recognizable timepiece is a must-have among horse lovers and is available at an affordable price.